Last year, I had the pleasure of meeting today's History Undressed guest author, Jeanne Adams, at a writer's workshop. She was presenting a thoroughly engaging presentation on bodies--dead bodies. I am pleased to introduce you to her today, and for you to read her fascinating post! Hello Historical Undressers! Or should that be Undressed Historians? Either way, I'm thrilled to be here with you at History Undressed today. Thank you to Eliza for inviting me. One of the key happenings in a tremendous number of historical novels is a "death in the family." Either the old Duke kicked off unexpectedly bestowing the title on the brilliant hero; or the onerous husband left the lovely hoyden a young, desperate widow; or the duel went badly for someone's brother/uncle/cousin/friend. Well, most historical novelists leave that off-screen in the book. Why? I think its because the costuming, carriages and social mores are difficult enough to get right, they don't want to have to go researching how to deal with the dead too! I, on the other hand, have a bizarre fascination with this topic. (I teach a class on body disposal, after all.) Throughout history, death rituals have been integral to society's function. From Great-Grandma's passing to Funerals of State, I've learned many morbid fact on how the business of death was handled. Of course, in ancient times, the rites and methods are primitive. Dig a hole, sing a song, wrap up some grave goods and slap a lot of rocks on top of the grave so the spirit can't come haunt you for anything you might have done - or not done - in life. The rock cairn, barrow or grave was pretty standard before the 10th century. Catacombs and so on were in vogue in the cities, but out in the countryside, it was the rock cairn. We move up in history to more civilized times (relatively, of course!) and we begin to find actual rites and statues over the graves rather than plain rocks and even...drum roll, please....laws regarding the handling of the dead. As early as the eighteenth century, people were experimenting with embalming. The wars on the Continent, with their dismaying body counts, and weather conditions precluded bringing those first-son's remains home for a proper Christian/Jewish burial. This was unpopular with parents and siblings who were fond of that younger son who went off to war and stuck his spoon in the wall, so in the 1760's some enterprising German scientists worked out ways to preserve the tissues. It wasn't perfect and it wasn't popular, but it did work. So if you see someone use it in a book in the 1700s, they ARE technically correct. But if they indicate it was all the rage, they would be INcorrect. 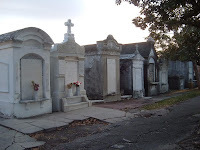 In fact, many places there were laws about embalming being a desecration, just like autopsies! It actually took quite a long time for embalming to catch on. It wasn't en vogue until the early part of the twentieth century, as we began to be so migratory. Some great heads of state were embalmed or preserved of course, so they could lie in state, but the majority of the Peers and the Commons had no such luxury. In fact, the undertaker wasn't usually a profession found anywhere but the very largest cities until the mid-to-late eighteen hundreds. If Grandma passed away at the manor house, she did so in the company of her family, who then took up the task of preparing the body. Usually, the women of the household would undress the body and wash it - necessary even today, given what the body does when all the muscles go slack - then dress the deceased in his or her final costume. In the early days, the body would then be laid out on a bier - sometimes a table, sometime simple planks over two saw horses. A cloth would be used to tie the mouth shut, and the hands would be secured together at the waist, usually with another cloth or a black ribbon so they wouldn't dangle down, or fall down at an inopportune or frightening time during a service, visitation or wake. Certain cultures put a coin in the mouth, the shoe, or the hand (some under the eyelids to keep the eyes shut - weird!). This is a holdover from the Pagan custom of paying Charon, the boatman, for safe passage to the underworld. In most households, even the poorest, a shroud or pall would cover the body, scented candles would be lit at the head and foot, and flowers would be brought in as well. Lillies are associated with death and funerals because they have a strong scent and can cover the stench long illness can bring to a body, or the meat-gone-bad smell notifying all that decay may have already begun it's work. The shroud was black or dark grey and could be made of anything from dyed Belgium lace to black cotton. If the family were well off, a coffin would be built (notice I said coffin, not casket) by the local carpenter, furniture maker, or tradesman. Up until the late 1800s and early 1900s, there weren't big casket manufacturing concerns. Mostly, the local cabinetmaker took up this task for the local populace. There were specialists in this sort of thing in the bigger cities, again, but the well-to-do often still had one custom made for their loved ones. The poorer folk usually wrapped the body in canvas, or sailcloth, and the shroud and the cloth were all that stood between the body and it's return to the earth. 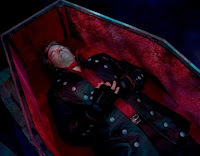 On the side note, a coffin is an eight-sided "Dracula box" and was the standard burial container until around 1910 when caskets - like the modern four-sided containers now in use - came more into vogue. The gravediggers would be hired, the local livery stable would dust off the funeral coach for the wealthy, and gloss up the black horses or mules. The mourners would gather, mostly walking behind the coach, and proceed either to the family cemetery (no longer allowed for burials in most places, btw), the churchyard of the church in which Grandma worshiped, or if poor, the local draft-horse-hitch would carry the body to Potter's Field, or the Burying Ground for the Poor and Destitute. The body, in or out of the coffin, would be lowered into the ground with ropes, which would then be pulled out. (this is why there are usually two cross braces on the bottom of a coffin, insuring the ropes don't slip off and drop the body or casket unceremoniously, which would be very bad luck, and so the ropes can be pulled out of the grave.) Words spoken, tears wept, the gravediggers would cover the grave, and we process off the property and away to our chores, which continue on, even if Grandma is gone. Costuming comes into play here as well, with mourning gowns and black armbands. I do wish people still wore black armbands, signifying the loss of a loved one, so that you didn't wish them HAPPY NEW YEAR! in a rollicking fashion if they'd just suffered a grief. Having lost a loved one at the holidays, it would have saved me some suffering to have some outward, costume-significant notification system, like they did in the old days! Apart from dress codes, there are some other quite interesting and peculiarly morbid things of note from previous centuries. Sometimes, a lock of hair would be cut from the deceased's head and that lock would be woven into a piece of artwork, or pressed under glass and fashioned into a brooch or ring, as a memorial. These are called Memento Mori - Death Memorials - and are now quite collectible. Interesting in a gruesome kind of way, don't you think? It reached a high art form in Victorian times, with intricate beadwork, floral wreaths and framed "samplers" being made, all with hair from the various deceased members of the family! And speaking of wakes, another interesting note is the fear many people had of being buried alive. Hence the Wake, or Death Vigil. Is Great Gramma really dead? Well, someone better sit up with her body and be absolutely sure. There'll be hell to pay in Heaven, if St. Peter tells you you buried Great Gramma before her time, right? So, there were coffins made with glass face plates, with bells on them so that if one suddenly awakened, one could ring the bell and notify one's kin that one was not yet dead. There were rappers - think a reversed door-knocker - nailed to the inside of the coffin. And even some which had latches and handles inside, so one could push one's way out should the need arise. As photography progressed in capability, a photographer would often be summoned to take a picture of the deceased in his or her coffin, as a memento. Grim, eh? 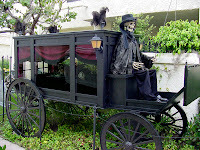 There are footnotes about the horses, the black feathers on the coaches, and I can't even get into all the antique military funerary fun in this short blog. If I did, you'd still be here reading it tomorrow! I'm happy to answer any questions you might have, however, for works in progress, for curiosity, or for whatever reason you'd like to ask! I have a great deal of information about tombs and tombstones too...bwah-ha-ha-ha! I'd love to know, from you, dear Undressed Readers (there's a visual! 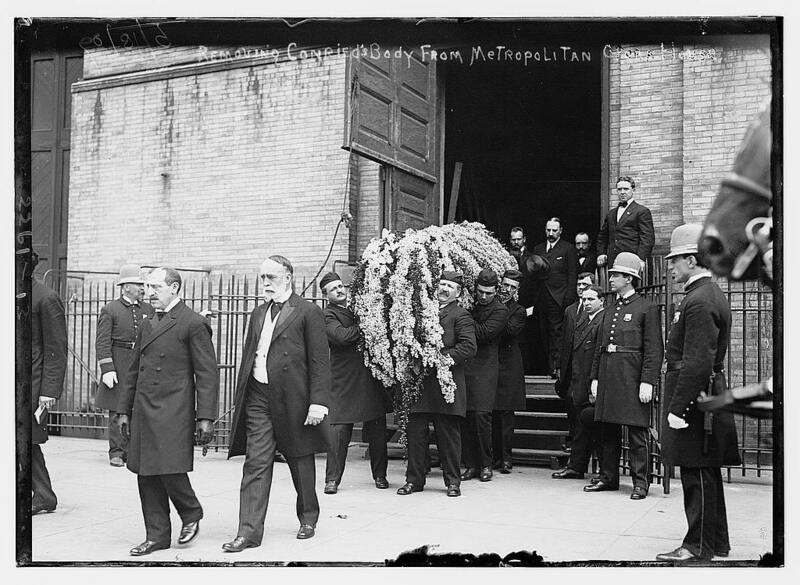 ), if you've read a good funeral scene in a historical lately? I've not seen one in a while.....got any for me? And whilst you are all more historically inclined, I'd happily give away a contemporary - mine - to one questioner today. There are bodies in it, I assure you, as I like to blow things up. Again, thank you for having me here today! Now...ask away! Absolutely fascinating - thank you so much for sharing. 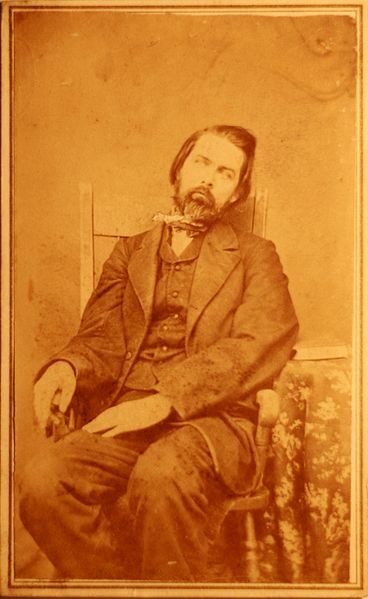 I remember seeing my first post-mortem photograph at the Museum of the Confederacy and being shocked. I'm curious if anyone ever document a case of someone being buried prematurely and actually ringing those little bells? Always fun to talk dead bodies with you! I learn something every time. Speaking of family burial plots, my mother's family has a cemetary on the top of a mountain in Eastern Tenn. Walking though it is like going through family history all the way back to 1806. AS far as I know the county still allows its use by the family. At least my grandparents were buried there back in the 1980's. Hi Christi! Thanks for commenting. There isn't a documented case. There are, however a TON of anecdotal cases. I'll go look it up to be sure, btw. And various coffins displayed with purported "claw marks" where the not-so-deceased attempted to get out. However, those often are proved to be chisel marks from the carpenter. :> Also, there was a lot of sensational literature - horror stories, in modern terms - around that time about being buried alive. On the rare case where the bell did ring, it was usually a convulsive movement as the body's muscles either tightened or relaxed in death. Same with a body "sitting up" or "setting up" - that's usually a body coming unevenly out of rigor mortis. Freaky though. Hi Marguerite! That's a cool memory. And again, shows the continued pagan influence in funerary customs. "May you arrive in heaven an hour before the devil knows your dead" is one of my favorite Irish "death" quotes. Grins. But the route OUT of a cemetery is almost never the same as the route IN, even today, and for that very reason. So no spirits follow you home, attach themselves or otherwise cause mischief. Grins. And of course, that should have been "you're dead" in that Irish quote. *eye roll* Sheesh. BTW, if anyone has a question they don't want to post, or is coming to this post long after it's archived and you have a question, you can reach me at Jeanne AT JeanneAdams DOT com and I'm happy to help. LOL Jeanne - Wait till you see my August release, REDEEMING THE ROGUE, otherwise known as - the coffin story. While I don't have the actual funeral, there's enough coffins and rituals in it to suffice. Talk about timing! Jeanne, what an interesting post! Military funerals would be an intriguing topic. I can't remember the last funeral scene I read in a romance. I feel sure there must have been one at some point, but none comes to mind. I guess people don't see funerals as romantic occasions? Hi Donna! It was amazing to what lengths the Victorian's carried the whole mourning thing. The trade in jet beads, black glass and so forth was monumental in the Victorian era. And Bohemian garnets - the darkest red of the garnets and somewhat hard to find now - were very popular for the lightening-up, mauve stages of mourning. Still dark, still mournful, but a bit more colorful. Grins. BTW Donna, I'm REALLY looking forward to Redeeming the Rogue, and even more so knowing that there's coffin-age. Grins. Hey Nancy! Military funerals of any era (but esp. the past!) are wonderful shows of honor, diligence and pageantry. I could do a whole post about that alone. Of course I could probably wax poetic about pretty much any facet of this topic, as you well know. I'm often surprised at how little the funeral is used in books now. Used to be in the 80s and 90s as I began reading romance, that there were a lot of funeral scenes. And its a FABULOUS way to tangle up characters, motives, and mores. Nothing like a funeral either, to get emotions and tensions running hot. Jeanne, you know the most fascinating stuff. I had NO clue about any of this, and am awed by the information. I haven't used a funeral in any books and really can't remember reading more about one that the mourners gathered around the gravesite element. Hi Tawny! Yes, the coach driver's designed to induce a shiver or two, isn't he? That pic is from outside a Funeral Home, they'd put the antique replica hearse out every Halloween, put "Bud the Coachman" up front and pretty much stop traffic on the main drag on the days he was out there. Pretty cool, eh? Hey, I'm looking forward to your book, Just for the Night, coming out next week - although I read on FB that it's been sighted in the racks as B&N already! Thank you so much for visiting with us Jeanne! 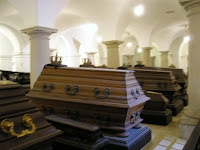 In the book I just recently finished writing (a historical fiction), I do have a funeral--the lying in state, procession and even the royal crypt :) It was really fun writing about it, and while I did think about some of the more gory aspects, I left most of them out of the story. Excellent post! Meant to also add, I have seen some of those post-morten pics before, and I can't remember where I saw them... Just fascinating! Hi Michelle! First let me say OH, HOW COOL! that you put a state-funeral in your book. Thank you and I can't wait to read it. Grins. Royal Crypts are fascinating, aren't they? Love the sculptures and bas-reliefs and so on. Totally cool. The post-mortem picture concept gained the status of "art" in the late 19th and early 20th century. Many people continued the tradition well into the present day, although they don't display the photos like many did in the late 19th century. There's a heartbreaking one at the Museum of Medicine at NIH, with a set of parents propping up their young (early 20's) daughter, all of them dressed elegantly, and the daughter is quite dead. It really just gets to me even to think about that one. I'm writing a time travel set initially in 1450 England. The earl's wife dies, and he travels forward in time to 1802. He wants to visit his wife's grave. Would she have been buried in a cemetery on the family estate? How would her grave be marked? Thanks for the fascinating blog post! It reminds me of that movie with Nicole Kidman, The Others. They had death portraits in it, which was the first time I'd ever heard of that tradition. Wow! I'm speechless! What a fabulous post! I can't say that I actually remember reading a book that had a complete funeral, other than just a few words from a priest or whatever, or maybe a scene where the women of the clan/family cleansed and covered the body with a shroud, that type of thing. I can only imagine how many different TRADITIONS have been associated with death and dying. My grandfather was an undertaker in England- unfortunately I never really got to hear stories about it, well other than a few I heard from my mom, becuase I lived in the States and didn't see him very often. I bet he had allot of interesting tales to tell! I've always loved the song by George Jones, "He stopped lovin her today." I never knew that in the South when someone died they laid the body out in the home, and then placed a wreath on the door so everyone knew there had been a death in the family! Anyway, thanks so much for sharing! Sure gets the old brain moving!!! Hi Mystwood! Wow, 1450. That would be an interesting study. She might have had her name engraved on the family tombstone - some times there would be one large monument and everyone's name is inscribed. Or if the castle had a chapel, she might have been interred in the family crypt and her name inscribed there, or a statue erected. Certainly HE would know her last resting place. You could have him be quite dismayed to see the chapel or family graveyard's state of disrepair. There were many in the 1800s who believed you should let them fall into disrepair and be forgotten, lest you be focusing on your losses and not on God. :> Weird, I know. Best bet is to have her interred either in the family chapel or in the castle chapel. Will that work within the bounds of your story? One of my favorite YA books is Fever 1793. 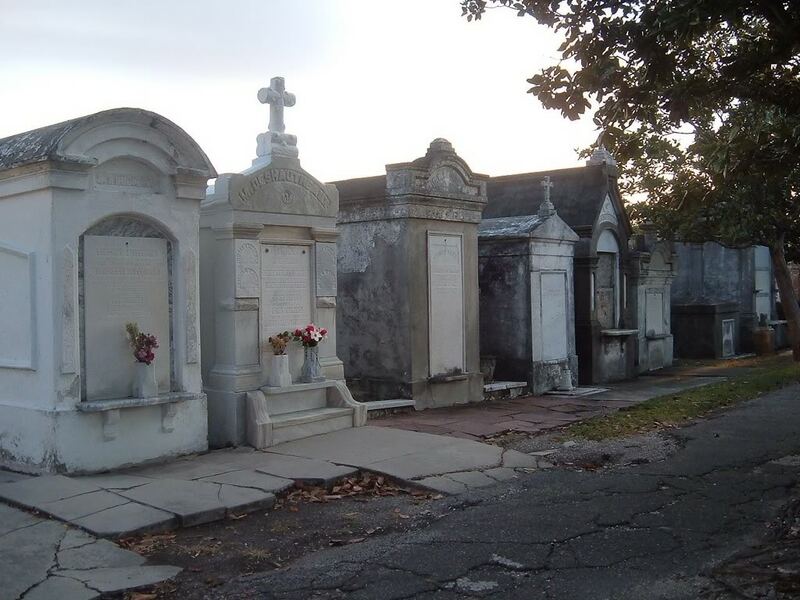 It's about the epidemic of yellow fever in Philadelphia and has some haunting scenes about death, including how gravediggers would push their carts down the streets crying out for people to bring out their dead. Now I want to read it again! Okay, I am too happy to hit enter today... Yes, the royal crypts are awesome! Even old family crypts! I went to Ireland several years ago, and we visited the old cemetary where many of our ancestrers are buried. There was an underground crypt that was sealed off, but there was a hole in the ground. My dad stuck in his camer and took a pic--bones! It was awesome! Yes the royal crypts are cool and I like the effigies too :) Thanks! Hi Beth! Wow, that does sound haunting, Beth. I've not read that one. I should get it and read it. Thanks! Of course thinking that line makes me think of Monty Python, so I confess that I'm snickering. Cart pusher: "Bring out your dead!" Cart pusher: "He don't LOOK Dead." "Dead guy": "That's 'cause I'm not DEAD yet!" Man: "But he will be, soon. So I'm giving him to you now..."
Hello Eliza/Michelle! Hahah! The Walter Reed exhibits are fascinating, aren't they? You'll have to send me some info on the Bodies Exhibit in Vegas. I'm going out there in Sept, and if it's still "showing" I'll be sure to go! Which ones in France? Did you see Napolean's? Isn't it HUGE?? The Walter Reed exhibits were pretty freaking cool. If you go, please tell me what you think of it! I found it to be extremely fascinating!!! Also there is a place right next to it called Tacos and Tequila--awesome margaritas!!! What a fascinating post, Jeanne. Though I have to say I'm creeped out by the uses for a dead person's hair. Shudder. Thanks, Jeanne! Either of those options would work with my story. I was wondering too - if a woman was pregnant when she died, is there any mention of the unborn babe on the marker? I'm trying to remember books with funerals or deaths. Fried Green Tomatoes pops into my head, although I'm not sure I'm remembering correctly. I'm thinking of a scene where someone dies at home and all the mirrors are covered and clocks stopped. You're right about Fried Green Tomatoes too! I'd forgotten that scene. The clocks stopped is an old tradition too - indicating that the hand of time has stopped for that loved one. The clocks would often be reset to the time of death too, which is kinda creepy. The mirrors were covered to remind people that we shake off "this mortal coil" of a body and the spirit is what's most important. There was something else, pagan in nature about the mirrors too, but I'm going to have to go look that one up. Jeanne, thank you again for the information! It's a relief to finally know how to depict this in my story. If I wanted to learn more, what search terms or books do you find the most helpful? Thanks for all the great info, both here and in your Drowned Dames workshop! And what a lovely blog, by the way. Thanks, Eliza! I'm adding it to my faves and will be coming back often. Laurie, I pulled out my "book of the dead" - which is my massive research binder on all this. The covering of the mirrors is from two different traditions. The first is Judaic, and that is what I mentioned - you're supposed to focus on your grief, not on frivolities like how you look, and no one should expect you to, so the mirrors are covered. The second is pagan. It was thought that the spirit of the dead could (or could choose) to become trapped in the mirror glass as the body was carried by it on the way out of the house. Cats were often locked away as well, since it was thought they were more susceptible to being overtaken by a spirit that wanted to linger longer. Often a special candle would be lit before the mirror too, to ward this off. OR, conversely, if you wanted to speak to a dead ancestor who might be trapped in a mirror, you would light a candle and summon them to the mirror. Pretty cool, eh? Both practices persist into modern day, although Christian and other traditions other than Judaism frown on the pagan-ness of the mirror thing. Oops, didn't answer your other question! There are a number of search terms you can use, chiefly "Funeral customs" and "Funerary rites" but if you want historical references, be sure to add either the exact time period, i.e. "Victorian Funeral Customs" or "Norse Funeral Customs" or the more general "historical funeral customs"
You'll get a lot of junk, but that can give you a start. OR, you can just email me, and I'll be glad to help. Grins. Hi Kate! Thanks for stopping in! I'm really looking forward to the next Brooklyn Wainwright! May 2, right? If ya'll have not read Kate's NYT mysteries, you're missing out. Grins. Just a little plug there, Kate. And thank you for your kind words about the class. Oh! And isn't this just a lucious blog? A veritable FONT of info! Thanks from me too, Eliza! Laurie, on books, there aren't a lot still in print on historical funeral customs. There are some wonderful OOP ones, but I've only found them at my antique book dealer. If you are ever in Houston, TX we actually have a funeral museum and it is quite fascinating. Hi Lady Hawthorne! I've heard about that, and I'd love to visit it. :> It's on my "list of things to see" Grins.